5 Nutrients That Can Help Boost Your Hearing! As we age, our hearing is one of the first things to go. However, it doesn’t just happen overnight, it starts to go slowly. You start noticing that you have to turn the TV volume up a little, or maybe you will find yourself asking your friends to repeat themselves more often. Hearing loss isn’t just a nuisance – it can compromise your safety if you cannot hear what’s going on around you. Thankfully, there are some safe and natural ways to start boosting your hearing right away. Here are 5 nutrients you can add to your diet to take control of your hearing. You might know it as the mineral that can boost your immune system and support prostate health, but it’s also a good way to keep your hearing at its best. Research has shown that taking 50 mg of zinc each day for 2 months reduced symptoms of tinnitus in 82% of subjects. Tinnitus is a ringing in the ears, and it can be the result of injury or age-related hearing loss. Another study found that zinc can improve how quickly people recover after experiencing sudden hearing loss. A High level of this mineral in the blood was associated with better quality of hearing. You can get zinc from oysters, nuts, eggs, and pumpkin seeds. This antioxidant supports heart health and a longer life. However, a surprising benefit is that it may actually help restore your hearing. In a study, resveratrol dramatically lowered the amount of COX-2 in the inner ears of rats after exposure to 24 hours of noise. COX-2 is a protein that causes inflammation and may contribute to hearing loss. Resveratrol decreases inflammation and fights free radicals in the body. It is very important to keep these in check to protect against diseases and hearing loss. You can get resveratrol from red wine and from grapes. You can also buy it as a supplement from most health food stores. This can reduce oxidative stress from exercise, replenish glutathione levels, and even prevent cancer from forming. Its oxidative stress protection is what makes it great at keeping your hearing intact. A study found that supplementing with 1,200 mg of NAC per day for two weeks significantly decreases noise-related hearing loss. Since NAC does not occur naturally in food, you have to take this one as a supplement if you want to help your hearing. However, if you eat poultry or yogurt, you can get a good amount of cysteine, which your body can convert into NAC. Omega-3s help to fight inflammation and prevent heart disease, but they have also been shown to prevent hearing loss. 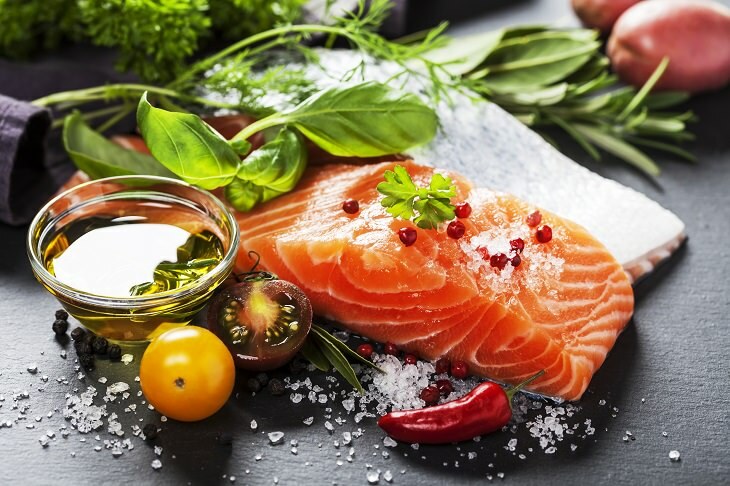 One study found that eating two servings of fatty fish a week reduced the risk of age-related hearing loss by over 40% in nearly 3,000 people over the age of 50. 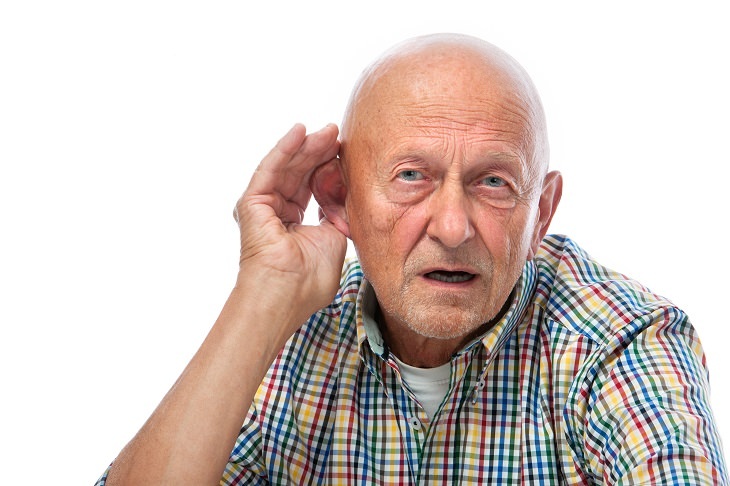 Hearing loss as a result of old age may not be due to the ears, but a problem with how the brain communicates with them. So in addition to fighting inflammation, omega-3s can help signals get sent between your brain and ears more effectively. Omega-3 fatty acids can be found in fatty fish, walnuts, flaxseed oil, chia seeds, soybeans, and spinach. It can also be taken as a supplement. This vitamin is known to help maintain a strong immune system, but it also plays a role in protecting your quality of hearing as you grow older. In a study of nearly 3,000 subjects over the age of 50, supplementing with vitamin A helped reduce the risk of moderate to severe hearing loss by almost 50%. Vitamin A can be found in carrots, sweet potatoes, lettuce, dried apricots, fish, liver, cantaloupe, and bell peppers, to name but a few.